We had gotten a very strong winter Nor'easter storm, which gave heavy rain and strong wind in our area. 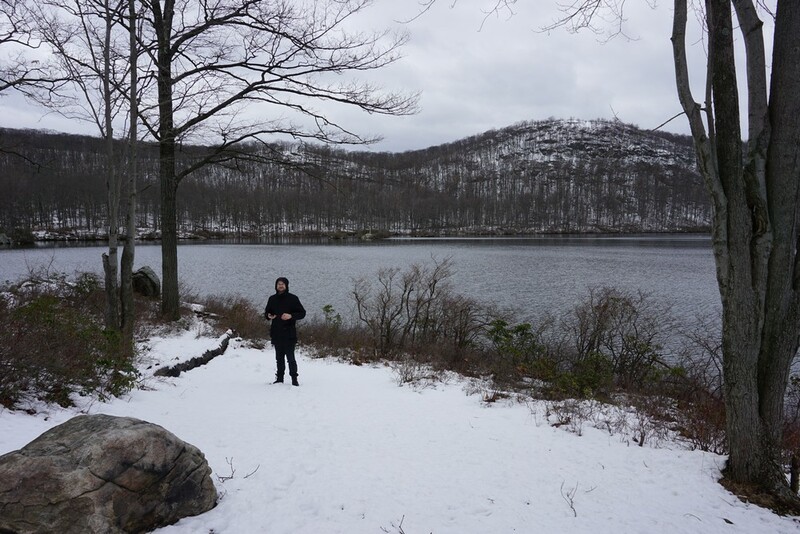 It ended as snow with just minor accumulations. 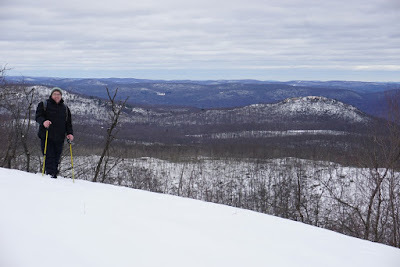 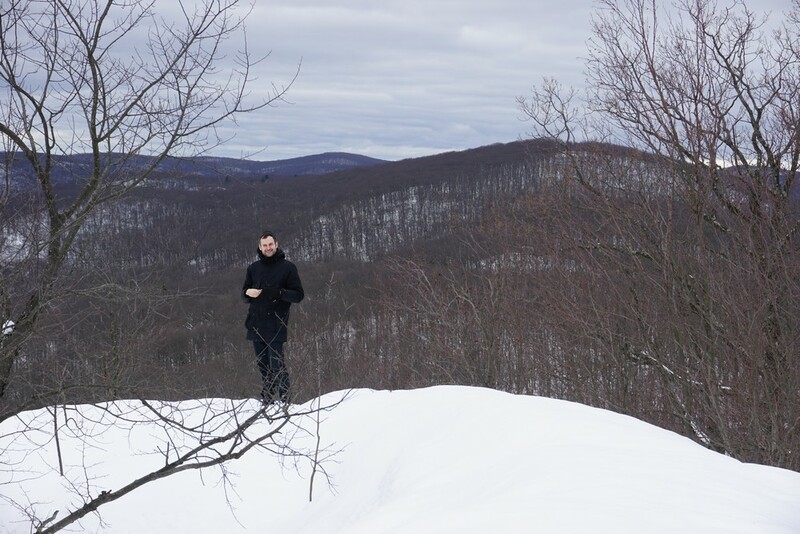 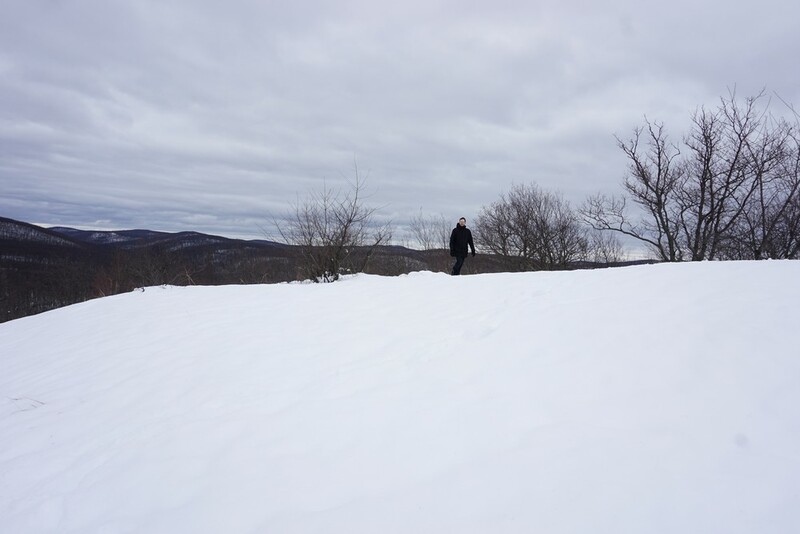 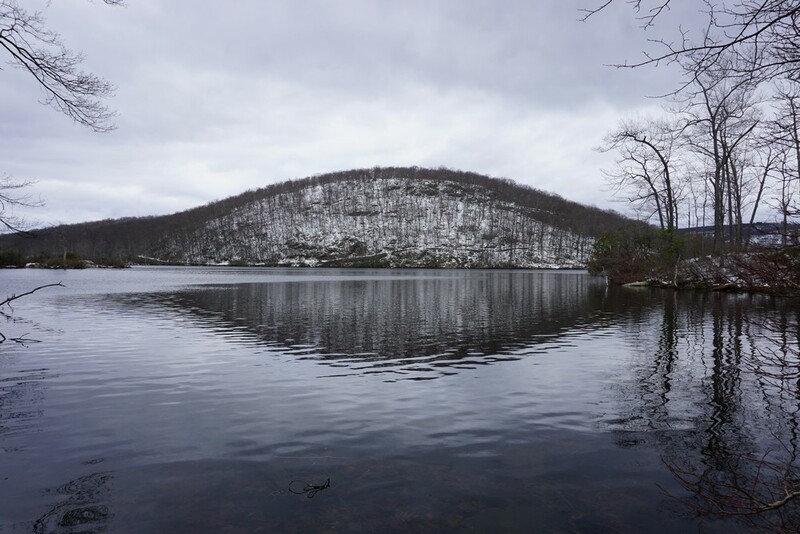 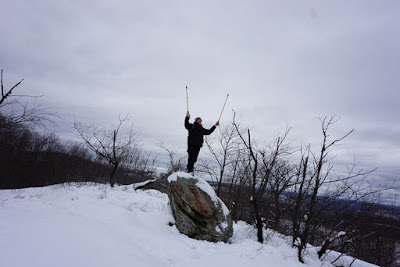 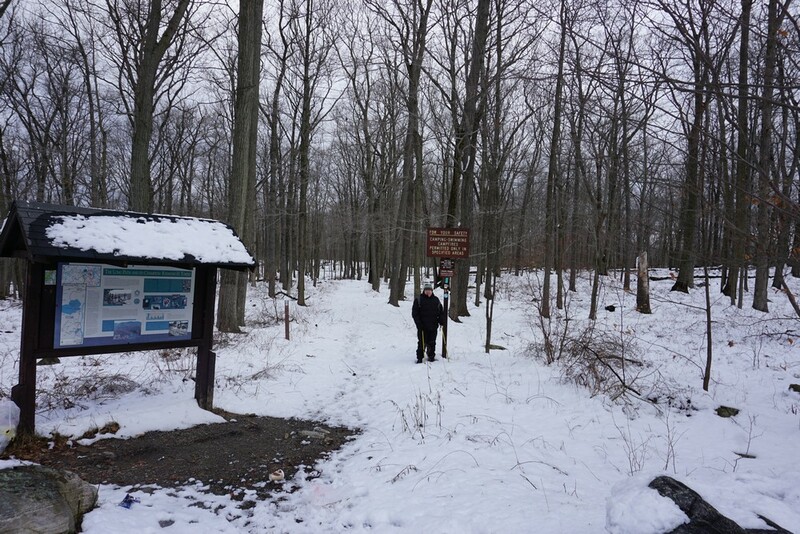 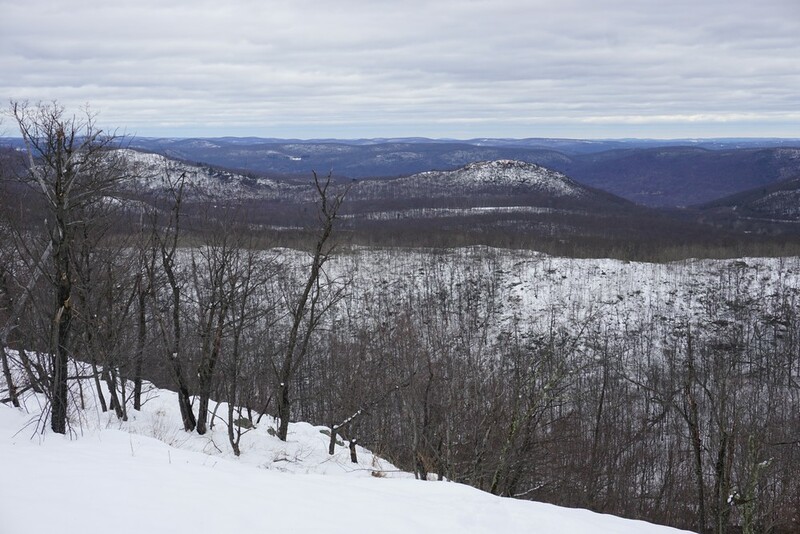 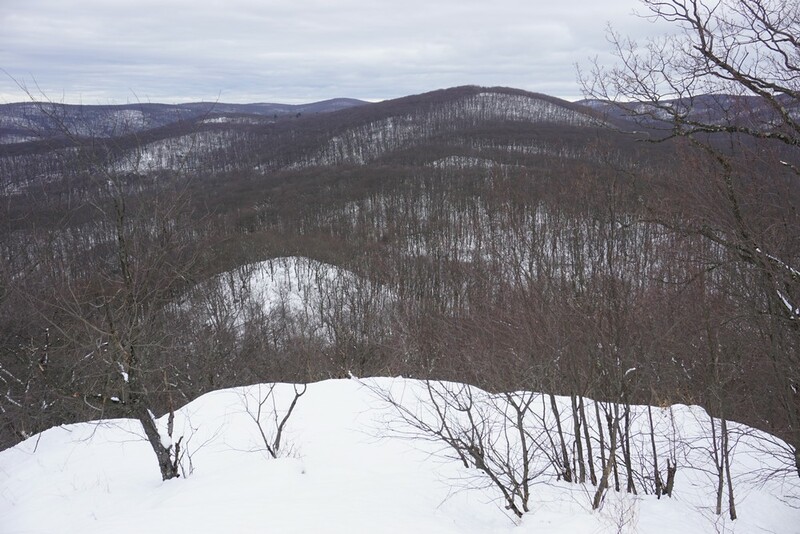 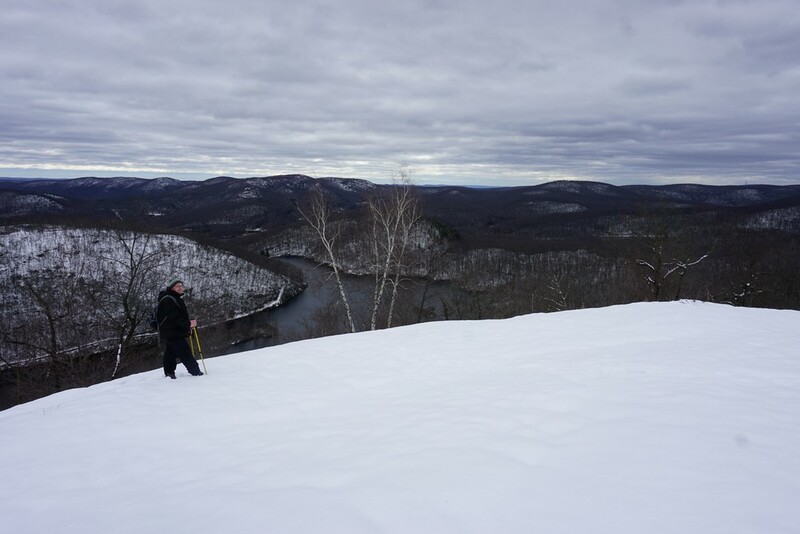 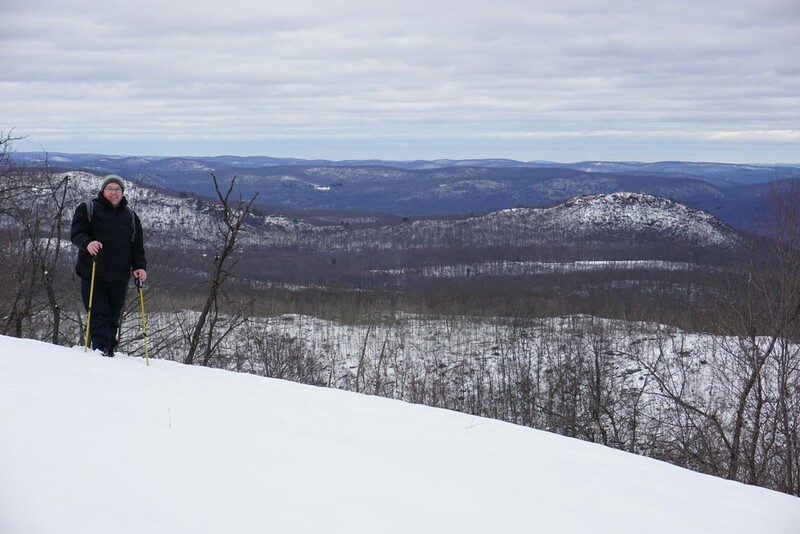 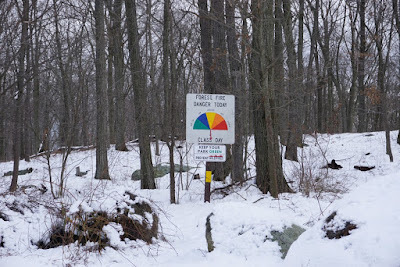 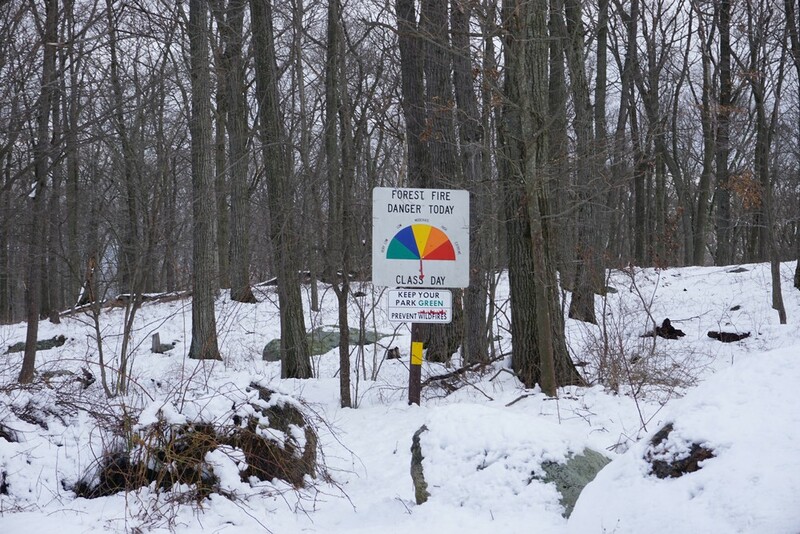 However, the higher elevations received a significant amount of snow, and we figured that a tall mountain on the northern flank of Harriman should have the most significant snow accumulation. 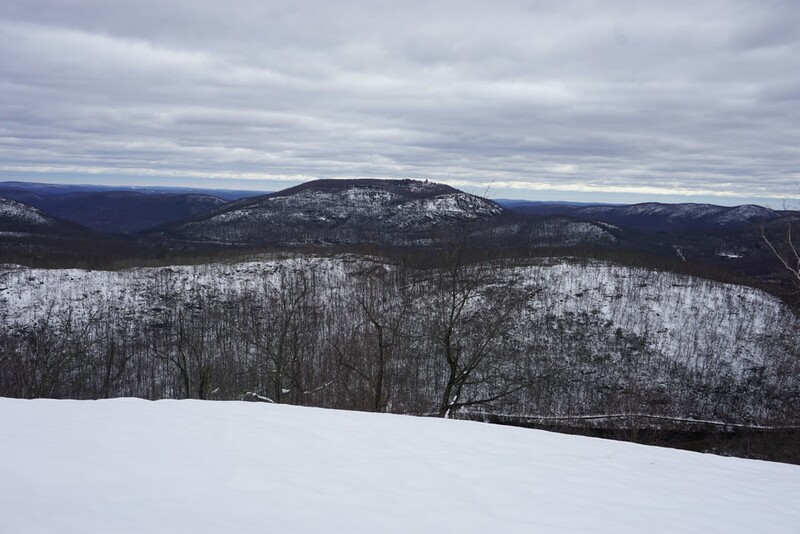 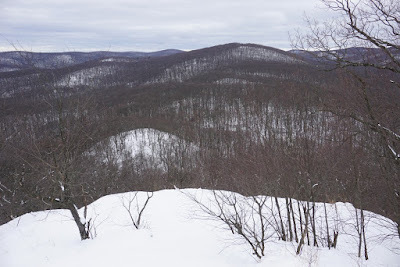 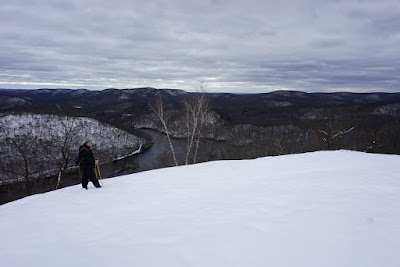 We picked Long Mountain, which affords a great view, and is at an elevation over 1,000 feet. 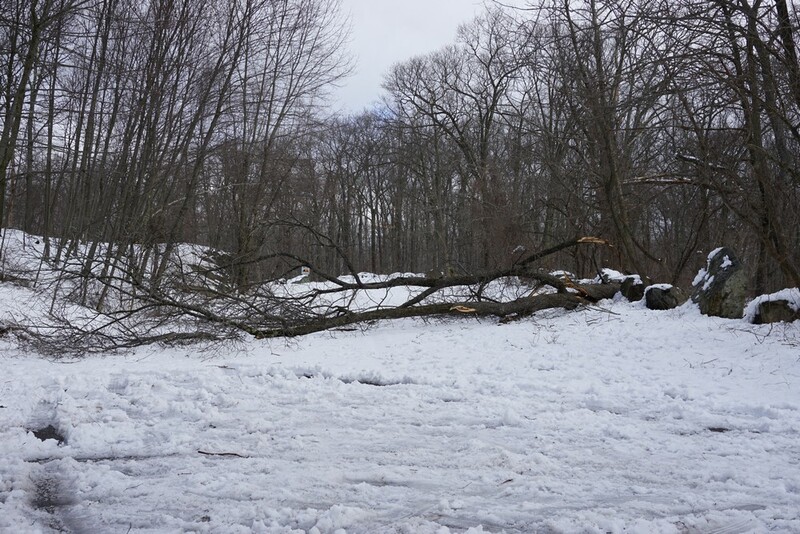 We parked at the Long Mountain Parking area, which had a tree fully across the parking area, though you could park until that point. At the start of the hike there was about 6 inches of snow on the ground, but as we climbed up the mountain, the snow increased, with about a foot of snow at the top of the mountain! 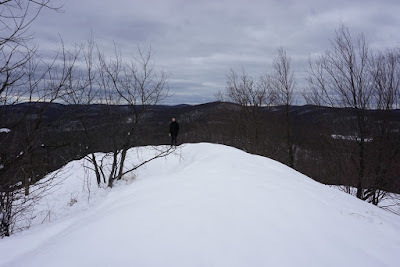 I took the Long Path up to the mountain summit, which affords an excellent view. 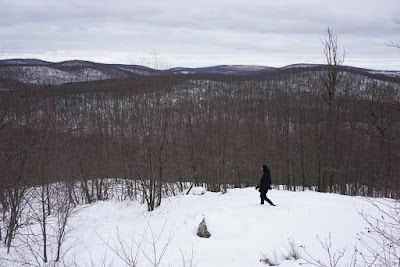 The Long Path had recently been rerouted up Long Mountain along a more circuitous route. 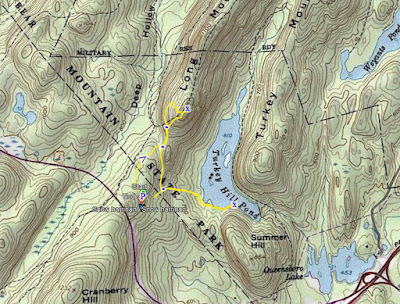 I took the new route up, and took the old original loop back down, making for a "lollipop" style hike. 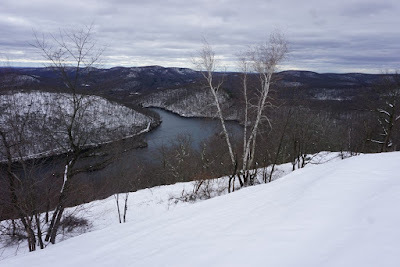 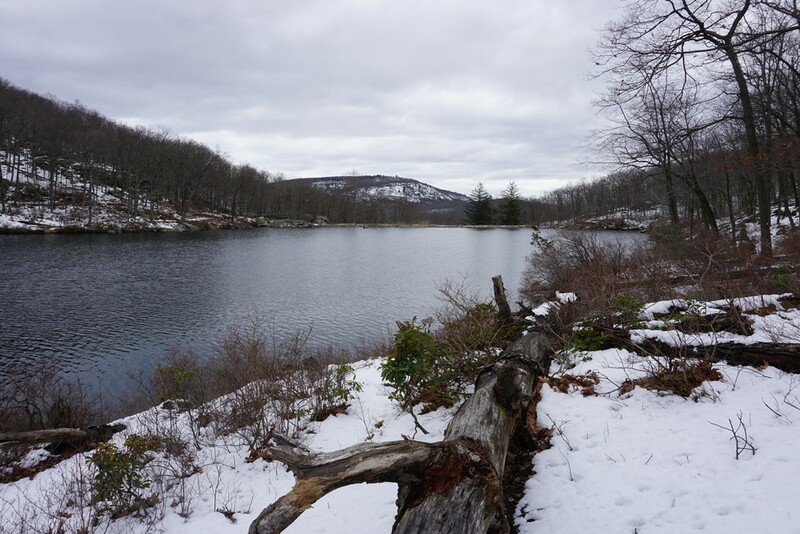 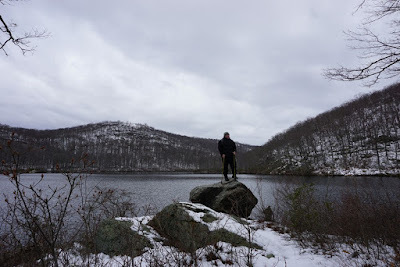 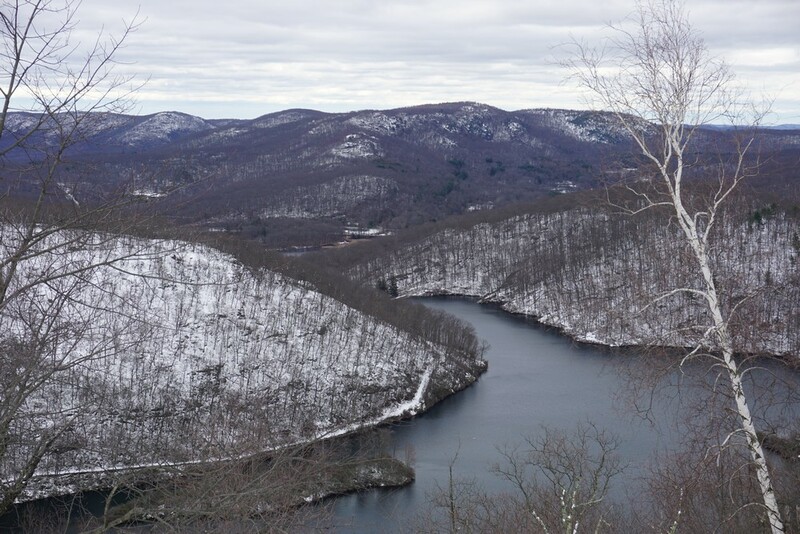 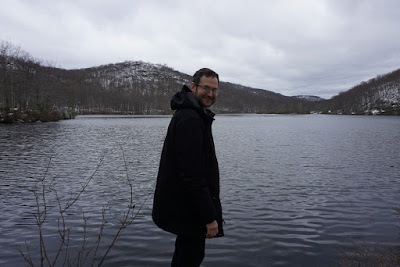 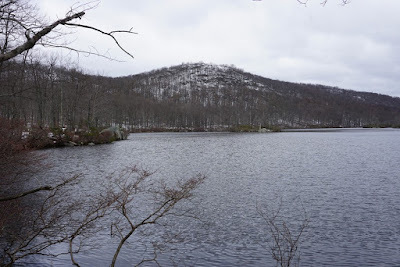 We then took the Popolopen Gorge Trail at its western terminus down to Turkey Hill Lake, getting some nice views of the lake, and then turned back around back up the Popolopen Gorge Trail. We then continued straight at the trail bend, bushwacking up back to the parking area. 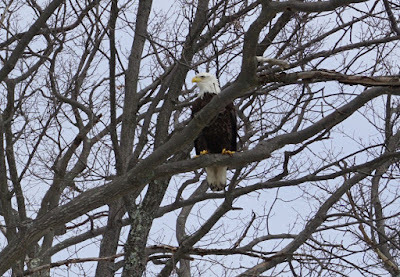 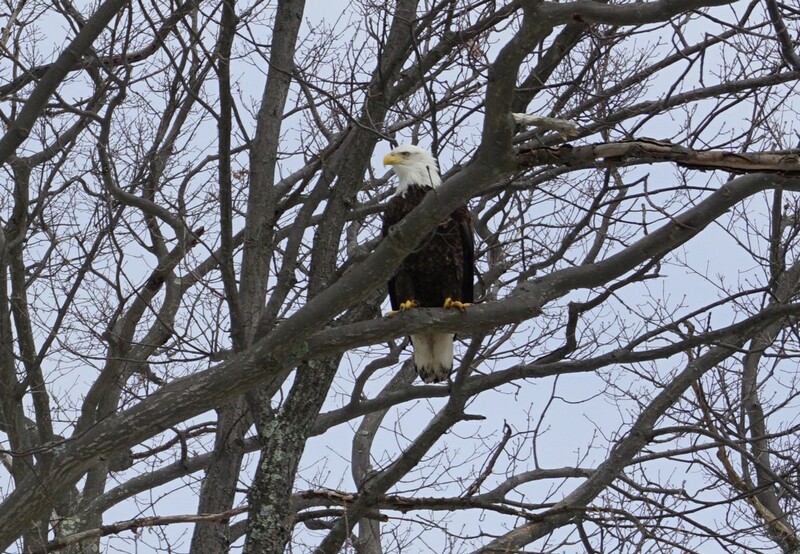 As we were driving through Harriman on the way to the hike, we saw a large, majestic bald eagle perched on a tree at Seven Lakes Drive opposite Lake Tiorati. 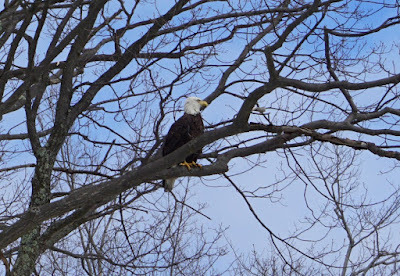 We got some good photos of it and include it here.